This time I decided to take a look at how having Columnstore Indexes in a database is affecting database backup & restore procedures. I decided to take a simple backup from the Contoso Retail DW database to just 1 file on a local drive in order to have some kind of a baseline. Naturally in a real production environment we would be able to go for multiple drives as well as multiple backup files which would accelerate the overall performance, but for a simple test I will use my local VM with 2 cores of I7 as well as a SSD drive. I have executed both backup and restore commands a number of times to measure the average performance and I have to say that the results were pretty consistent. 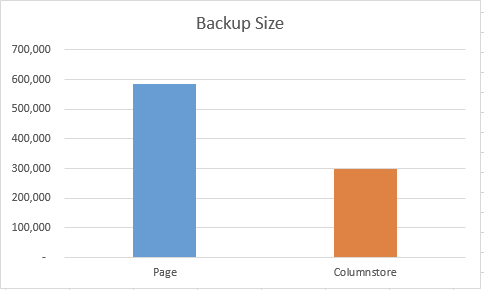 The results of the backup are pretty impressive, with Columnstore showing that it simply wins by a double margin with Page compression being the closest competition. 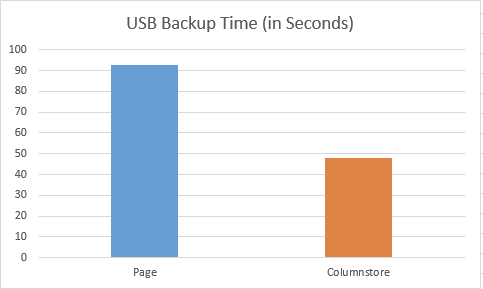 Judging by what I see – backing up a database with Columnstore Indexes might make some good improvement on your backup times. 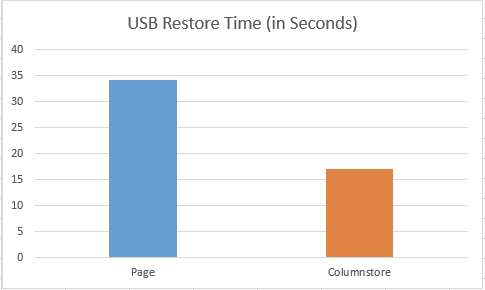 Restore – I was actually expecting Columnstore backup performing worse than a Page-based one, since a non-compressed backup restore outperforms greatly a compressed one (9,1 seconds on my setup). 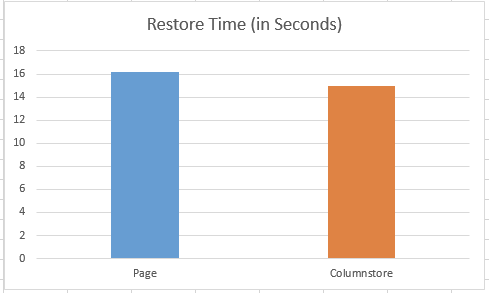 As a matter of a fact PAGE Compression backup restore perform here a little bit worse than Columnstore Indexes backup and I have had to make a good number of tests to be able to reconfirm it. This might have to do with a speed of the drive (SSD), but if we look at it logically – a slower drive on a server would make even more win for the Columnstore indexes, as long as you have a couple of free CPU cores, which should be the case on a good server. 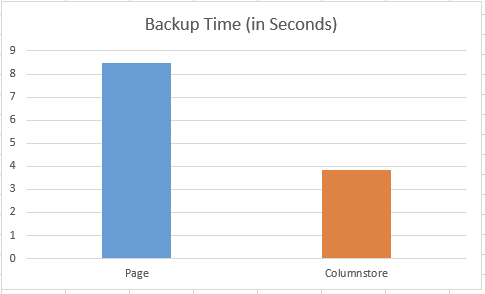 The slower your backup/restore disks are – the more improvements you will get from using Columnstore Indexes, there is absolutely no doubt about it. Here are the results and as expected the difference gets bigger and bigger according to the performance of the drive.